WTJR Camera upgrade 2012 three cameras for local studio. 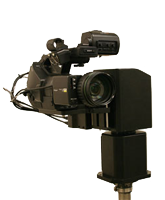 WTJR has 3 Hitichia ht-10 1/2″ 3 CCD cameras setup in studio configuration that we have have been using for 20+ years. We produce on average 12 1/2 hour shows per week. The cameras are trucked in studio from set to set. They all have been rebuilt, some multiple times. We Paid approximately $30K for 3 cameras, including 3 CCU’s, two 30′ CCU cables per camera, 5″ B&W studio viewfinder, remote zoom and focus, 3 tripods with wheels and arms. The picture is now soft and mushy, whites blooming, and some video noise. It is time to upgrade. Corporate says it would be wise to have HD capacity in the new cameras. WTJR production says they would like at least one robotic camera but like the old style studio config. Engineering says it would be preferred if all 3 cameras the same type so they match. Also we need tally lights and intercom like we have now. Accounting says as cheap as possible to get the job done with good quality. Many things have changed over the last 20 years. We now have many different options. 1. Upgrade to current studio cameras like we have now but latest version. 2. Use small HD Robotics camera that have built in remote capability. 3. 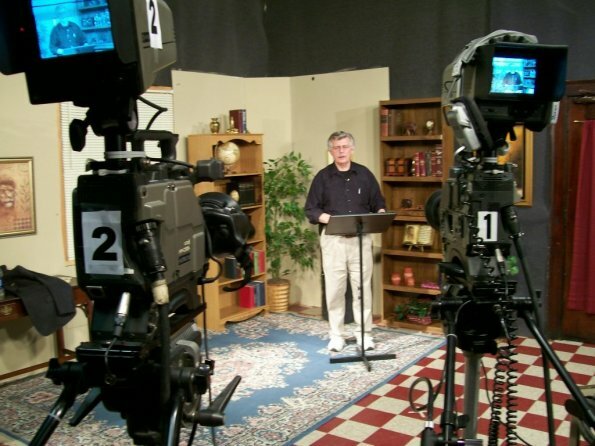 Upgrade camcorders to a studio setup. Lets look at these options in detail. Since we have Hitachi cameras now lets look at what they would cost today. 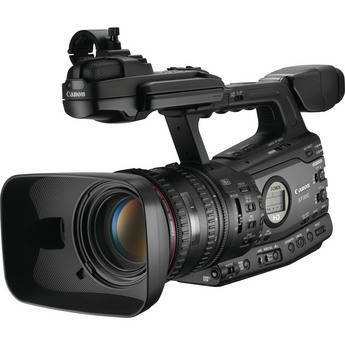 The studio camera packages on the Z-HD5000 range in list price from $28,830 per camera. This is a HD camera. 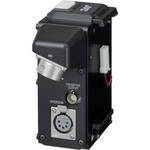 Optional CCU’s available with switchable 1080i/720P HD-SDI switchable outputs. 2 independent program returns (IFB’s) w/ incom mix. Pros: Standard Studio Camera, with tally, intercom, all on one cable. Studio grade camera lens with remote zoom focus on camera arm. In control room CCU’s for camera control of video shading. Cons: Price. Not robotic. It is possible to automate this camera with a third party camera robotic system. WTJR ENG Comments: Very good, but too much money for us. Old school way of doing things. • HD/SD-SDI and HDMI outputs are standard as well as analog component and SD composite. • Supports international HD and SD video signal formats including: 1080/59.94p (HDMI only), 1080/59.94i, 720/59.94p, 480/59.94p (HDMI only), 480/59.94i, 1080/50p (HDMI only), 1080/50i, 720/50p, 575/50p (HDMI only) and 576/50i. Camera has built in robotics here is example controller for Panasonic camera shown. 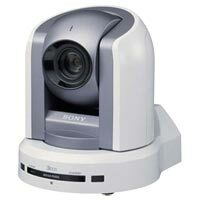 AW-HE50 series cameras via IP, and up to five Panasonic cameras and pan-tilt heads using RS-422 serial control. The RP50 is capable of accessing up to 100 presets for each Panasonic Integrated PTZ camera (the AW-HE50 and AW-HE100), and up to 50 presets for other Panasonic AW-series pan-tilt heads. Pros: Price. Full robotics. High Quality Picture. Cons: Tally lights would be a custom add on from switcher. Intercom would now become wireless and need to be acquired. Small lenses. No local operation except trucking and pedstaling camera. No view finder (could be added). Light wieght needs metal plate for tripod head. Camera cable needs to be made up to have all options in one cable. Looks like a security camera. WTJR ENG Comments : This is the future for many , but no manual control at camera we still do that. 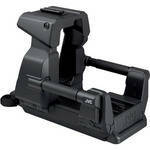 It supports the VF-HP790 LCD studio viewfinder on the top and stabilizes the entire system including an optional teleprompter. A hinged side panel makes it easy to remove the camera for shoulder use. 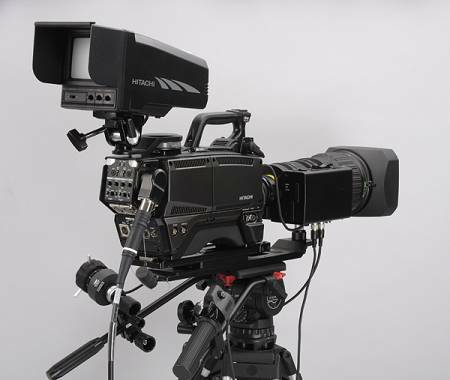 It differs from the interface used with the GY-HD250 system in that all studio functions are now contained within a single unit attached to the camera body. The GY-HM790/KA-M790 system is now more mobile for EFP applications. 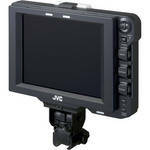 The VF-HP790 is an 8.4″ XGA (1024 x 768 pixels) LCD studio viewfinder designed to work with the GY-HM790U or the GY-HM700U. Designed to mount to the KA-790 Studio Sled, it is equipped with a large tally indicator and screen hood. A fully digital interface provides all of the camera’s viewfinder indications: safety markers, focus assist, power and clip management. 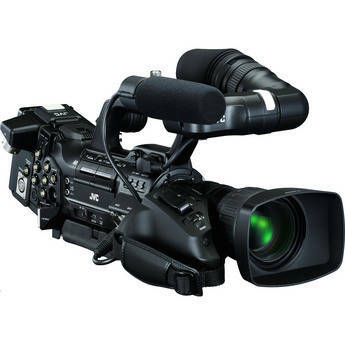 The VF-HP790 is also provided with an HD-SDI input for monitoring an external signal. 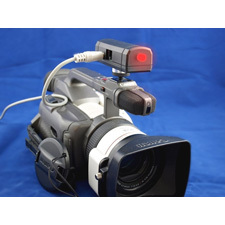 A 6-pin remote connector provides a TTL interface to an optional JVC RM-LP25U, RM-LP57U, or RM-LP55U control unit. 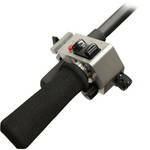 Extensive control options are available including shading, paint, iris, gamma level, knee, gain, shutter and black level. Functions vary with each unit. Pros: High Quality Picture and camera lens. Lots of options for studio configuration. Cons: Price when all options added, options not cheap or reasonable price. Need camera control unit not shown. Need cable not shown. Not robotic. It is possible to automate this camera with a third party camera robotic system. WTJR ENG comments: The sled and viewfinder we do not need. We do need tally lights so I wonder if dropping viewfinder loses tally? We are looking at each camera separate and order parts per camera. One camera would have telemetric robotics. Maybe more robotics later. Cons: Add cable interface, and remote zoom focus, add intercom , add tally, Not robotic. It is possible to automate this camera with a third party camera robotic system. No real CCU but software can interface with camera. WTJR ENG says: Lots of mixing and matching to get in studio config. 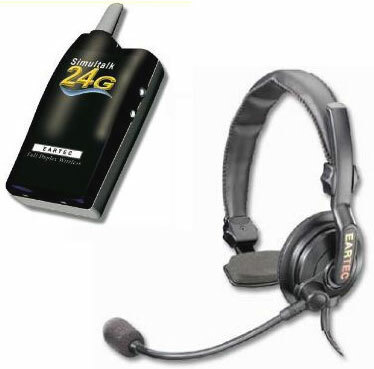 This Simultalk 24G Communication System from Eartec provides full-duplex digital wireless communication in a compact design. The SlimLine Single headset is designed for those who need comfort in addition to durability. The internal spring steel headband is adjustable to provide the right amount of tension for each user. Soft padding on the headband and earpiece provides added comfort. The TL-2 Tally Light is compatible with the tally outputs on the front of the TriCasterTM 300 and provides both a red program and green preview indicators for the camera operator and an ultra-bright LED tally for the on-camera talent. The talent tally can be disabled via a jumper if desired. It connects to the TriCaster TCXD300 via a stereo 3.5mm(1/8) phone jack. Used directly with a TriCaster Studio or Broadcast you get the red program and ultra-bright talent LEDs. Again this is connected via the 1/8 jack. The TL-XD is also compatible with the TLC-6 tally light controller for all standard def TriCasters. It connects to the TLC-6 via the RJ-45 jack and Ethernet-style cable. With this configuration you get the red program, green preview and yellow effects LEDs as well as the talent tally. 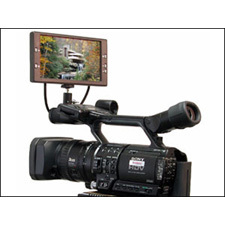 Mount this 7″ LCD monitor on top of your camera as a studio-style external viewfinder for a more comfortable shooting approach, or use it as a remote source monitor or playback screen in the field. Switch between 4:3/16:9 with a simple press of a button! The VZ-TFT7 16:9 7″ monitor can be used a variety of ways, most importantly as a large external video display that allows the shooter to step back from the camera rather than standing hunched over while looking through a typically inadequate viewfinder. It can also be used as a lightweight field monitor, remote viewing display, or portable playback screen. This monitor easily switches between 4:3 and 16:9 aspect ratio as well as helpful image orientation controls for DOF adapters. When combined with VariZoom lens controls, you have a studio package comparable to much more expensive setups. For the greatest versatility and value, we recommend the VZ-TFT-7U kit that includes all monitor accessories, including battery, shoemount, sunhood and carrying case. Telemetrics offers a comprehensive line of camera robotics and control systems for broadcast, industrial, educational and military applications. Our specialized line includes: camera robotics systems including programmable computer controlled pan/tilt mechanisms, weatherproof camera robotic systems, motorized camera trolley systems, advanced control software, and a wide variety of programmable controllers. Price will be mod per camera item. When looking at these numbers the question quickly becomes how much does want to spend. As all options will give HD picture output. The cheap way is to get a camcorder and convert it for studio. One of the drawbacks is no genlock on cheaper models, and what of Iris control?, Manual or Auto at camera it appears, not in control room, except via Firewire with the cannon. Also how many wires and of what type do you need to run the camcorder as a studio camera? The next question is manual vs. robotic control. 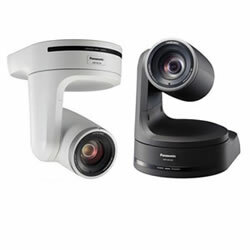 The panasonic AW-HE120s can not be run in manual mode yet have good robotics. The “cheap way to robotics is the Sony and Panasonic cameras designed for that purpose, if you can live with a studio camera looking like a little R2D2 Unit.